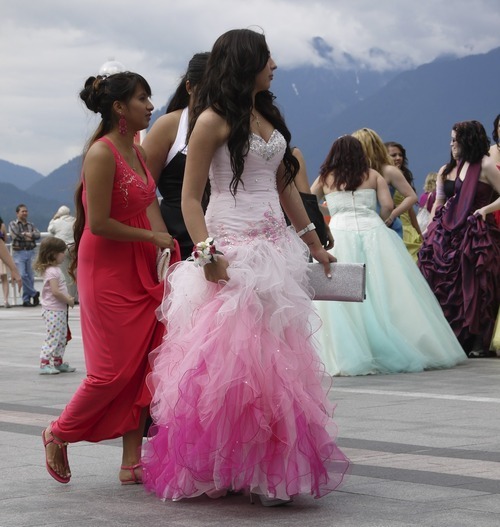 PROM, QUINCEANERA OR JUST A FUN NIGHT OUT? When I went to junior prom I wore a lovely green dress with short sleeves. My mom made it for me- to my exacting specifications. It grazed the knee and was far from ultra-fancy, it was perfect for dancing the night away at the Nicollet Island Pavilion. I cannot even remember what I wore to my senior prom- I think it could have been a repeat- a black-linen sheath dress from Talbots (of all places) it was simple and a perfect canvas for not one accessory and flats which had a grosgrain bow, I think also from Talbots- this was in the nineties, it was slightly better than a Laura Ashley floral. 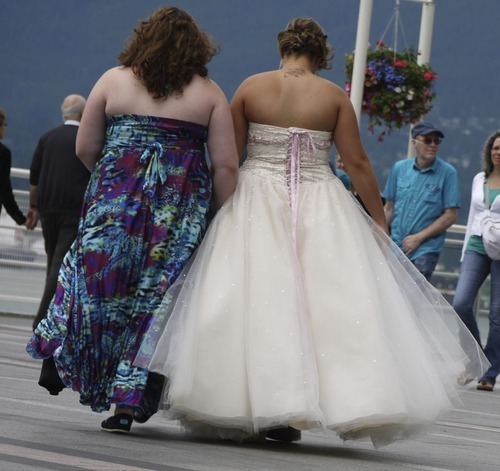 It appears prom or formal dress style has expanded in the years since I was shopping. 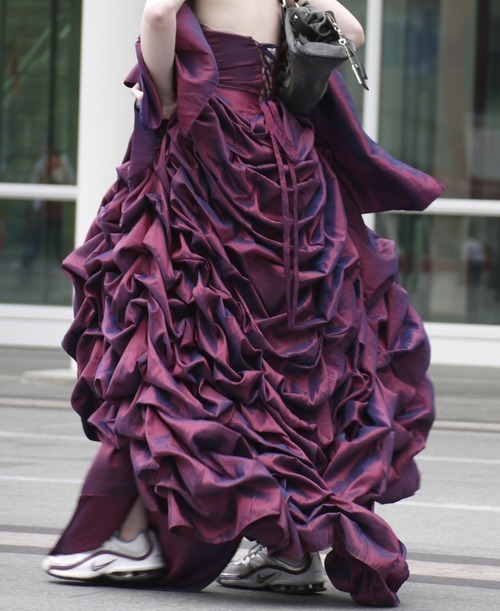 There was an event while we were in Vancouver, here are some of the ‘styles’. I was surprised to see Tom’s and flip flops are considered formal footwear. 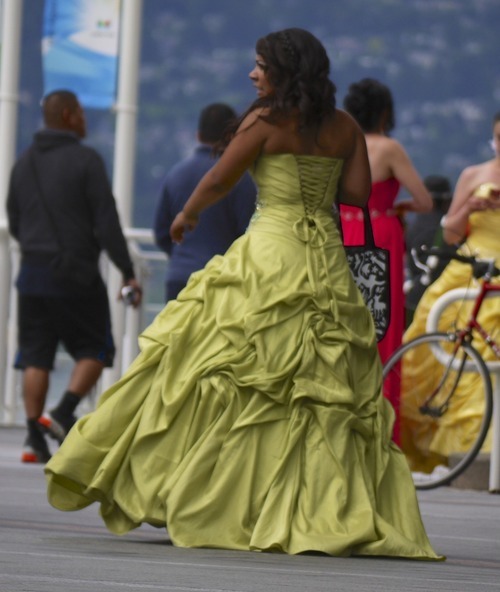 While staring (with sunglasses) at this group a fellow starer mentioned she thought it was a quinceanera. We never received a concrete answer so it will remain a mystery, another mystery, why is the corset dress still so popular?